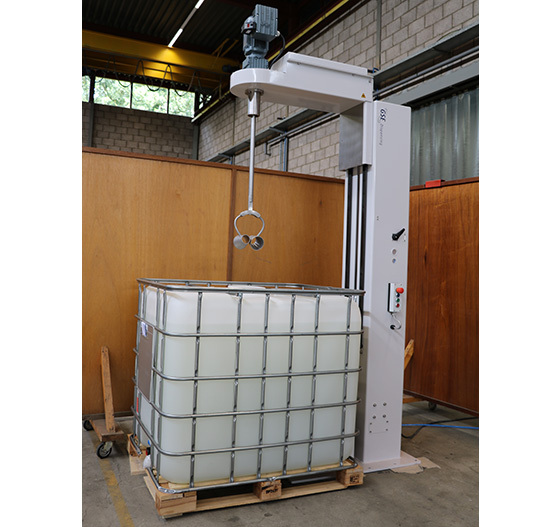 The IBC blender is a stand-alone electrical column blender for blending solvent- or water-based inks in drums or IBC’s after dispensing. 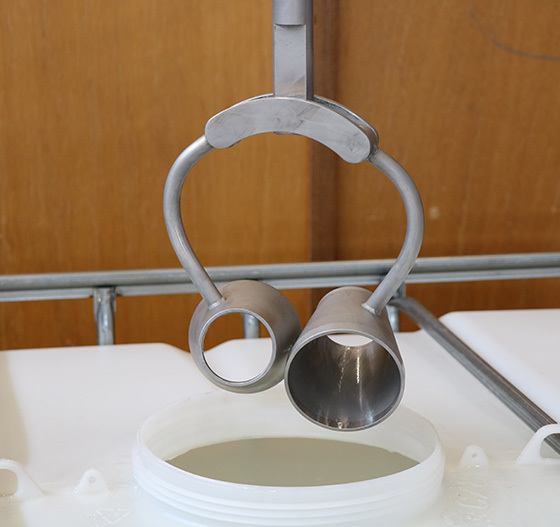 The blender is equipped with a manual lifting function of the blender blade out of the IBC and a start/stop button. 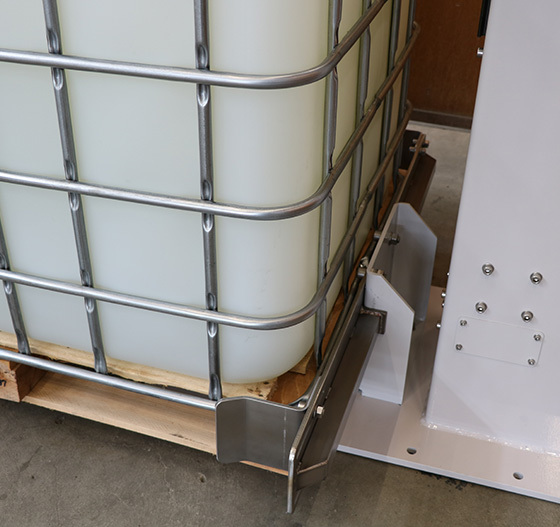 The blender will be mounted on the floor with a steel floor plate and is executed with a brake bar for positioning the container.